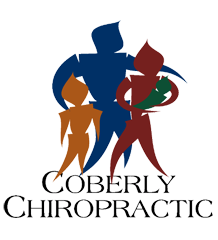 3 Ways Chiropractic Can Help Carpal Tunnel Syndrome – Coberly Chiropractic, Inc. Many people think of chiropractic as a treatment for neck and back problems, but in truth it is a whole body wellness practice and the neck and back are just one aspect. One application that is garnering a great deal of attention is the treatment of carpal tunnel syndrome (CTS). Chiropractic is an effective, non-invasive treatment for CTS, relieving the pain and promoting healing without the use of medications. There are three ways the chiropractic has been proven to be effective in the treatment of CTS. Carpal tunnel syndrome is a repetitive stress injury, a condition that affects the hands and wrists. The most common symptoms include tingling, numbness, and weakness in the middle finger, index finger, and thumb as well as pain in the wrist or hand that gets worse at night. It is typically found in hairdressers, typists, mechanics, cashiers, and other people who perform repetitive hand motions for long periods of time and it is estimated that about 3 percent of adults in the United States will deal with CTS at some time in their lives. About 50 percent of workplace injuries in the United States are attributed to CTS. There was a time when it was believed to affect women more than men, but research has shown that a person’s occupation plays a large part in how it is contracted and gender only plays a small role – if any at all. The carpal tunnel is a band of fibrous tissue that lies on the front side of the wrist. It holds the blood vessels, nerves, and tendons that are necessary for the hand to move and work as it should. When that carpal tunnel becomes inflamed, damaged, or pressure on that area compresses the arteries and nerves, CTS develops. It usually starts slowly and the symptoms gradually worsen as the condition progresses. There are three primary ways that chiropractors treat CTS. These three common treatments have been shown to be very effective in treating the pain and the condition as a whole. Adjustments of the upper spine, arm, and wrist – When the spine is not in alignment, it could exacerbate carpal tunnel syndrome. A chiropractor will use spinal manipulation to realign the spine to its correct position. These manipulations, or adjustments, are often performed by hand, but at times he or she may use special devices or a special table made specifically for chiropractic treatments. In addition to the spine, the chiropractor may make adjustments to other areas of the body such as the arm and wrist. Ultrasound therapy – This is another type of therapy employed by chiropractors. It uses low energy sound or high energy sound – both outside the range of a human’s ability to hear. The device that is used emits these sound waves that are extremely focused and penetrate the body’s tissue at a very deep level. These sound waves can be very effective in reducing inflammation, alleviating pain, and relaxing muscles. It may be used as a stand-alone treatment or with chiropractic treatments. Wrist Supports – The purpose of wrist supports is to keep the wrist properly aligned with the rest of the arm to reduce pressure and compression. It is often used as a preventative measure against carpal tunnel. The chiropractor may choose this option if the patient does repetitive work that may cause the condition. This is often combined with regular chiropractic treatments such as spinal alignment and is used to prevent conditions such as CTS from developing. When treating carpal tunnel, the chiropractor may also suggest specific exercises as well as a dietary program to promote overall wellness. This is intended to keep the patient from experiencing carpal tunnel as well as other conditions.